Jeannee is a graduate of the College of Eastern Utah and Weber State College RN program. After receiving her RN degree, Jeannee work at Castleview Hospital in various departments for 12 years. Jeannee then decided to further her education and entered the Physician Assistant Program at the University of Utah, where she graduated in 1995. 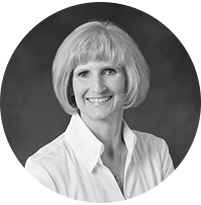 Jeannee has worked as a Physician Assistant in private clinics since graduating from the University of Utah. Jeannee is a member of the Utah Academy of Physician Assistants and the American Academy of Physician Assistants. Jeannee Hunt is also a native of Carbon and Emery counties and raised both her children in Price. Jeannee currently live in Price with her husband Jeff and two cats, Muffie and Gilligan.